It's book study day, y'all! Who else is excited for today?? The first part that stuck out to me was the story of Marcus and how he thought his writing was the "wrong" kind of writing for school. I've had so many kids in my class tell me about a book they are reading at home and when I suggest that they bring the book to school to read during independent reading time, they always something like "oh, it's just a home book. It's not something you would read in school." We have to change this thinking. I want my students to leave my class thinking of themselves as "everywhere readers" not just readers who read at school when it is required. We have to change this way of thinking. It's like Marcus' writing. I realize that we have to teach the kids skills like how to write certain ways with topic sentences and transitions, but there also has to be more "free writing" and "free reading" right? How can we merge the two together? How can we implement this effectively? Are you guilty of doing any of these things that the kids said they hated? I sure am! And yes, I realize that we can't cater our teaching to everything students will love and omit everything they hate, but in order for them to develop a love of reading, they have to look forward to the actual reading part. The second to last reason given was chapter questions and this made me think about when I do a novel study in my classroom. I also do chapter checkpoint questions that require the kids to look up answers to literal, "right there" questions that the majority of them already know if they have been paying attention to our reading, but I make them include the page number that they found the answer on in the text to help them practice looking up an answer. Now, I feel they need practice on how to locate a certain piece of information in the text, so I don't want to change the actual assignment, but I can change the way I present the assignment to them. I made this little note (just look over the mistake...not "they" but "the") a bit later in reading chapter one and it made me think back to the chapter questions assignment. We have to "sell it" if we want students to enjoy our class and our subject. 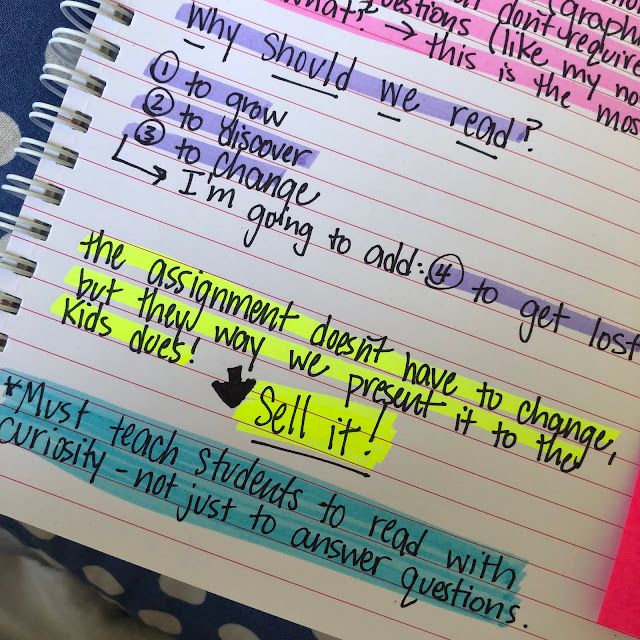 If we act like it's a boring assignment, the kids will treat it as such. And believe me, I get it. Some days are harder than others. Some days I feel like I have all the energy in the world and I'm channeling Mrs. Frizzle, and other days it's a struggle, but we have to try! Instead of just giving the kids the chapter questions, I sometimes turn it into a game where we race to find the answer or work with a group to explain the answer in the most detailed way possible. We have to make it exciting. I am a HUGE reader and one of the main reasons I read is to get lost in a story. I absolutely love my life and there are very few things I would change about it, but I love nothing more than to curl up with a book and get lost in a story about a girl who returns to her southern town to fix up her grandmother's cottage and falls in love with the carpenter. :) :) We have to teach our kids how exciting reading can be. We have to change their way of thinking. Reading isn't just answering questions or filling out a Venn diagram. I love how at the end of each chapter, there's a "Turn and Talk" section where the authors have questions for discussion. I thought I would pick one or two each chapter and include them in these post so we can discuss in the comments. Let me know if you think there's a better way to do this! 1) Some teachers think that in the future, reading may not be as importance as it is now since we will have more audio books and be able to turn to the internet for information. What do you think about this? Do you think reading will go away? Or be less necessary? 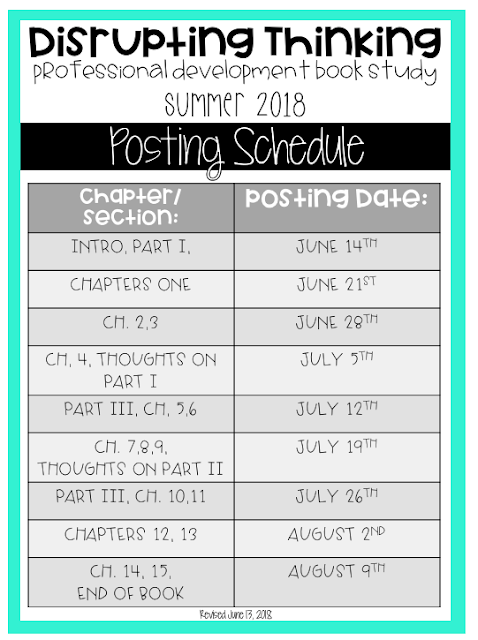 As always, here's the posting schedule for the book study. I'm ready to hear YOUR thoughts! What stuck out to you from chapter one? My favorite from this chapter is on p. 22- "We want them to ask not only, "What does this text say?" but also, "What does it say to me? How does it change who I am? How might it change what I do in the world?" When I read novels, I'm constantly reflecting on these types of questions, since my main reason for reading (and teaching) fiction is to build empathy. But how can we ask those types of questions for books like Wimpy Kid and the like? I feel like some kids don't see depth in some of their reading choices, which is why they think there are some books they shouldn't read at school. Although I've found some pretty deep ideas in Wimpy Kid, some 5th graders don't see it (or don't want to see it) in that sort of way. In regards to your turn and talk question, I'm afraid that less reading will lead to less empathy. Although we can get answers from the internet, we can't always put ourselves in someone else's shoes the way we can by reading. And although audiobooks are a great alternative, they don't allow a reader to reread or look back when necessary. I often find myself trying to skip back chapters and find a particular spot in the audio, but it is so much more difficult without the text. But I am much more of a visual leaner- so maybe it's good for auditory learners? I believe, as well as, hope and pray, that reading will always be relevant. I truly love the audible component when my hands are busy, the digital when cost and format allows, but the book in my hands...ahhhh! I love the ability to annotate a paper bound book and make individualistic notes and pictures. It is easier to go back and find prove or reread when the complexity of the text dictates. As long as there are individuals burning to put pen to paper and convey ideas, feelings and reasonings, I believe books will always be around. I hope! I love the statement, “We need students who can do more than answer questions; today’s comple world requires that our next generation of leaders be able to raise questions”. Being able to think creatively, critically, collaboratively, and compassionately is the goal for today’s students to ensure the future. I also really liked that quote! It’s all fine and dandy if students can answer a question, but it shouldn’t be our end goal. It's an interesting idea to ponder ... Will reading go away? I love to read and honestly can't imagine not reading for pleasure, but more often than not I learn about current events from audio/video sources. I do not think this means we should move away from reading instruction, but really engage our students in how to think about what we learn (through reading, hearing or seeing). It's been a goal of mine to incorporate more podcasts in my classroom. Occasionally I'll hear a podcast that fits in nicely with what we are reading in class and I'll share it. It goes over well with my students. 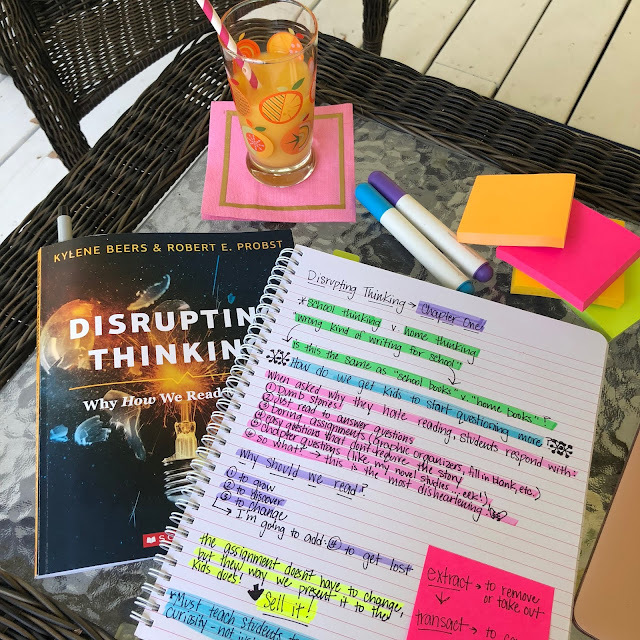 Part of disruptive thinking may be challenging ourselves and our students to combine information from multiple sources to deepen our understanding of the world. I completely agree with your idea that disrupting our thinking involves seeking out information and synthesizing that information from multiple sources to gain understanding. The thought of reading going away breaks my heart and I pray that it doesn't come to that! I believe reading is so important. Without reading, less and less people will have a sense of empathy for people unlike themselves. Reading gives people a chance to learn about the world or learn about history in an interesting way. I thought it was really interesting in chapter 1 to think about reading as a transaction versus extracting for information. Of course some reading is all about extracting, but most of the reading I do is a transaction and if it's not a transaction, those are usually the books that I DNF! I like how Bob says, "Important reading ought to change you." I couldn't agree more. 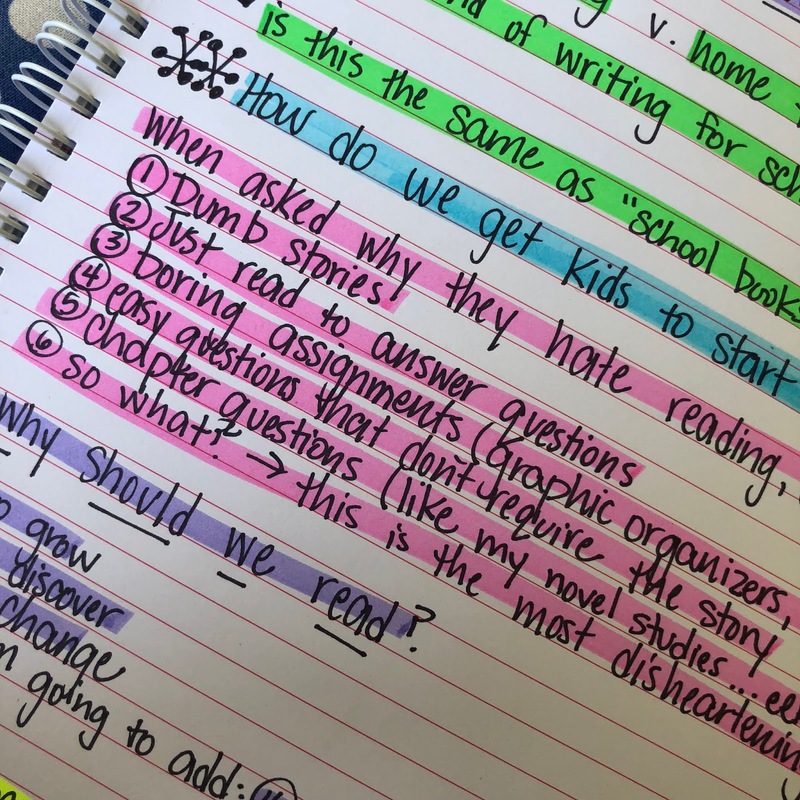 I feel like disrupting our thinking is a lot about the process of our reading versus the product of our reading. If we look at the process readers take instead of focusing on the end product we will have students that are growing, discovering, changing, and getting lost in books. I don't believe that reading will ever go away. Even if printed text does become less used, the skills in order to understand, analyze, and use audio and visual information will still be necessary. I love the feeling of interacting with a printed book and know that I'm not alone in that experience. 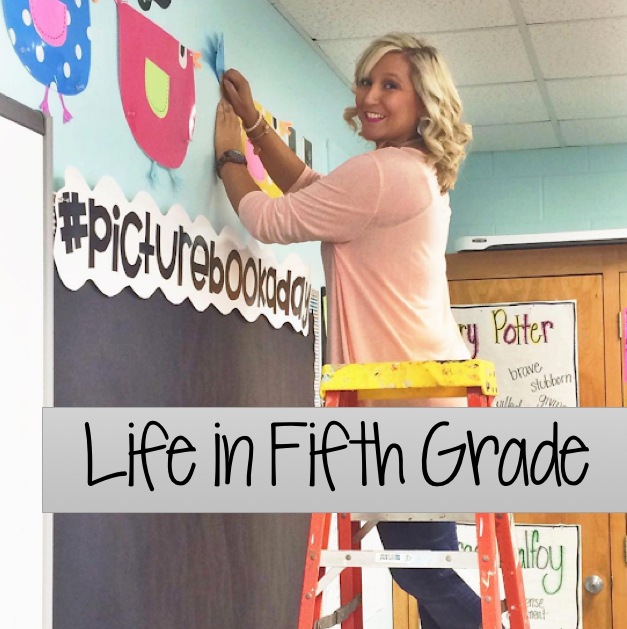 I have fallen behind because I was away at camp but I am taking this week to catch up! I love your idea about reading to get lost. One of my favorite slogans that my school library had growing up was "Get lost in a good book." It stuck with me after all these year. Here are my thoughts about Chapter 1. I'm getting my master's degree!